United State government says it will train and provide technical support to personnel of the Nigerian Security and Civil Defence Corps (NSCDC) and Nigeria Police to enhance its operations in the counter-terrorism campaign. Michael Bonner, Senior Police Advisor U.S. Embassy, stated this when he visited Ibrahim Abdullahi, the state NSCDC Commandant in Maiduguri on Tuesday. 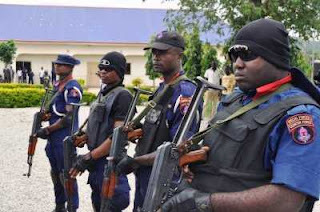 Bonner said that such support had become necessary in view of NSCDC’s contributions in promoting national security, especially in the protection of critical infrastructure. “Absolutely, when you talk about safety and security in Nigeria, the primary concern is the North-East, and the state that needs attention the most right now is Borno. “It is a great opportunity to meet NSCDC officers and hear from you how the U.S can assist you. “We are also planning to train the NSCDC personnel on post-bomb blast investigation techniques. “We have already put in place some courses that will run strictly for the NSCDC on critical infrastructure protection. According to him, we are also looking at providing a joint training for the NSCDC and the Nigeria Police Force. “The training includes counter-terrorism techniques to enable you to identify potential threats and protect people in soft targets as well as prevent terror attack,” he said.